A young Tibetan was allegedly beaten to death by the Chinese police in eastern Tibet, where security checks have been intensified. Beijing has been working systematically to avoid an outburst of public anger, resorting even to substantial financial compensations. Chinese police have beaten to death a young Tibetan man in Labrang in Amdo region of eastern Tibet. The incident occurred on December 9 , when Chonjor, a Tibetan in his twenties was apprehended by Chinese police while he was riding a motor bike en route to Labrang Tashikyil monastery to meet a monk relative. The police had apparently stopped Chonjor on the pretext of checking his license and was handed over to the People’s Armed Police who took him into custody according to various sources in exile. When Chonjor’s family members realised that he had gone missing, they went to the police station the next morning, on December 10 - World Human Rights Day, only to be told that he was dead. Reasons for his arrest and death are not known. Sources in exile say that he had faced severe torture while in custody. Speaking to the Dharamshala based Tibetan radio service, VoT, Dolkar Kyab, a member of the Tibetan Parliament-in-Exile said that the region had witnessed heightened security in the build up to the 22nd anniversary of the Nobel Peace Prize awarded to His Holiness the Dalai Lama on December 10, 1989. “Chinese police in the region have been manning the streets more rigorously in recent weeks and apprehending Tibetans driving cars, riding motor bikes, and even walking on the road,” Kyab told the radio service. 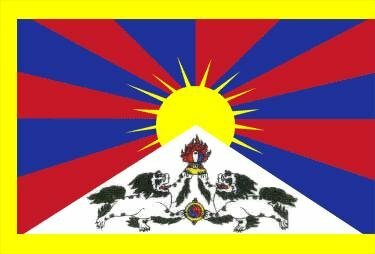 “Many Tibetans were also briefly detained and interrogated for possible links with anti-China protests that engulfed the entire Tibetan plateau in 2008”. A substantial sum of money, reportedly one million yuan ($156,867), has been released to the deceased’s family members after Tibetans from Chonjor’s native village and senior monks of the Labrang monastery strongly protested the police actions. The compensation, which is perhaps the largest known amount paid till date to a Tibetan, is seen by many as a knee jerk reaction by the Chinese authorities in an attempt to avoid an outburst of public anger. A similar custody death of a Chinese villager in Wukan village in southern China on Sunday, December 11 has become a major flashpoint between local Chinese villagers and the police in the full glare of international media.